Maui Media toured the new Whole Foods Market in Kahului today that will become the chain’s first Maui store when it officially opens on February 24th. The 26,366 square-foot store will offer an array of natural and organic health and body care products. 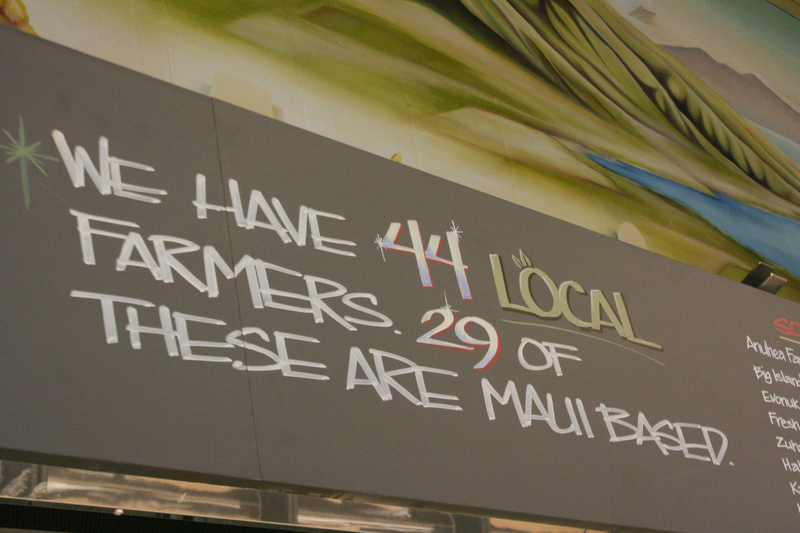 The inventory includes products from 44 local farmers, 29 of which are Maui based. The vendor list is even larger with more than 200 Hawaii vendors being used to stock shelves, 60 of whom are locally based Maui producers. Courtesy Photo: Whole Foods Market Kahului. Local products include orchids by Fragrant Orchids of Maui, jams and jellies by SoMoor, kombucha by Maui Kombucha and more. “Whole Foods Market celebrates the great variety of local businesses and farms in Hawai`i that grow and make wonderful food, drink and body care products. 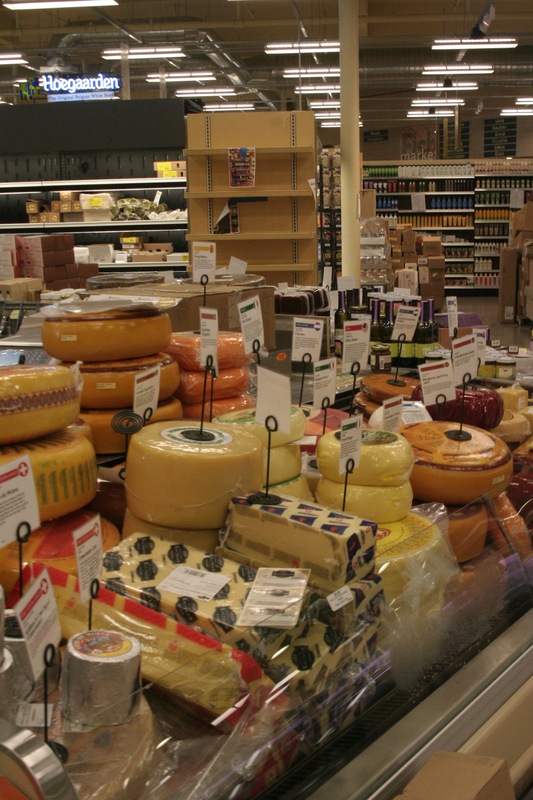 We are delighted to continue to expand our selection of special local products for our shoppers’ enjoyment,” said Claire Sullivan, Whole Foods Market’s vendor and community relations coordinator. “Opening our first Maui store presents a particularly exciting opportunity to support and highlight Maui producers, especially those in the farming and ranching community who contribute to the unique beauty and agricultural character of this island.” added Sullivan. Much of the healthy kale and chard at the Kahului store’s produce department is grown at Rice Farms in Kula. Since 2006, Tom Rice has worked to create a diversified farm on his family property, learning which crops are happiest in the cool, sunny Upcountry climate. Located in Ulumalu in north Maui, Fragrant Orchids of Maui will supply the company’s Kahului store with a selection of potted orchids. The orchids will also be available for shipment to family and friends on the mainland. Since 1997 joy’s place has been offering meals on Maui’s south shore in Kihei, driven by a commitment to helping individuals achieve optimum health by serving food that has been simply prepared using fresh, organic ingredients. Whole Foods Market Kahului will be the second outlet for the line of live foods recently created by Joy and her partners Joe and Tyua. These live foods are nutrient-dense, plant-based foods that have been crafted without exposure to high temperatures, so they’re high in flavor, color and nutrition. Pala`au, which means to heal with plants, is a line of Maui-made body care products that will be available at the Kahului store. They are based on a foundation of traditional beliefs, techniques and ceremonial processes from Hawaiian and Amazonian healers. Owner Stephanie Montanez creates and brews the products by hand in small batches on full moons. She makes them with focused herbal intentions, controlling their vibrancy, potency and freshness.